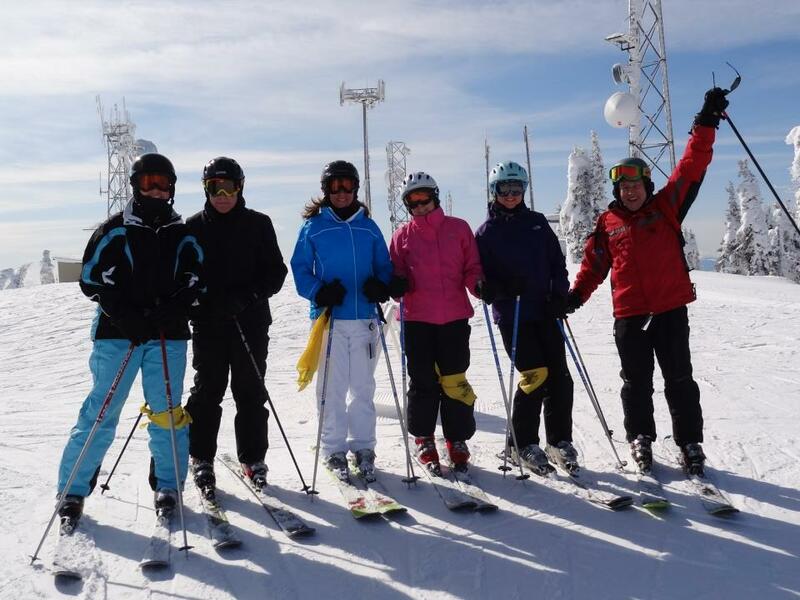 Why do you join a ski club trip? Is it to get discounted group rates? Is it to meet new people? Is it to enjoy a week of planned activities and parties? Or perhaps is it to try new locations with friends? 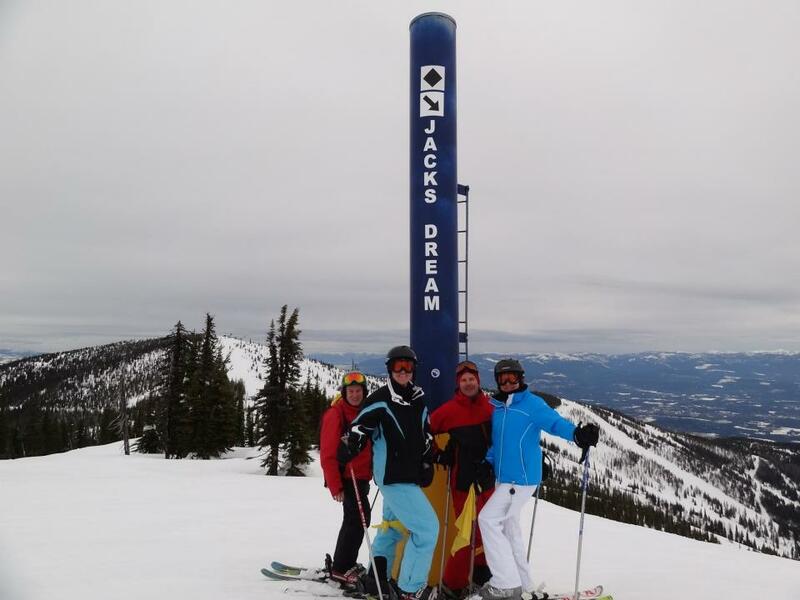 For our adventurous group of 21, all of these and more came true at Schweitzer Mountain northern Idaho and most of the group agreed this was one of the best ski trips yet. 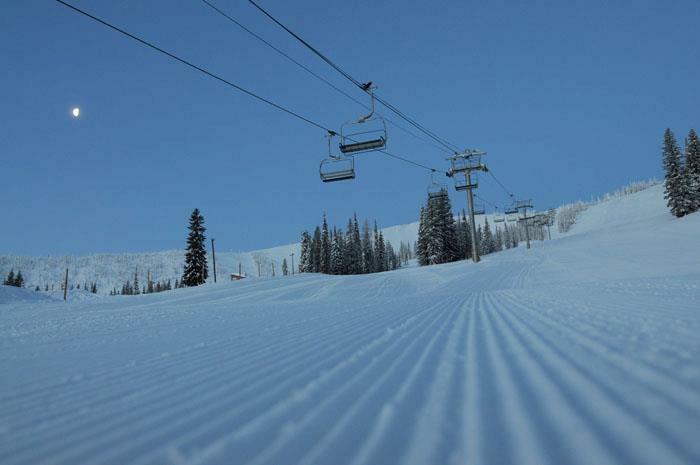 With 2900 acres of inPbound ski area and an additional 4000 acres of back country skiing, Schweitzer easily ranks as one of the largest ski areas in North America. And when most resort talk about lift capacity to move the masses, which Schweitzer has plenty of with its high speed quads and 6 person chairs, Schweitzer can also boast about the lack of crowds. During the week there is an average of only 800 skiers per day meaning there is almost 4 acres per skier instead of a mass of skiers fighting for a spot on the slope you find at other resorts. We often found we owned the slope and sometimes the lift too. We soon found it common to find fresh groomers in the middle of the day. On our club NASTAR race day, the resort gave the two clubs at the resort private unlimited use of the NASTAR race course. Most of us did at least 6 runs thru the gates with no lines to wait in. 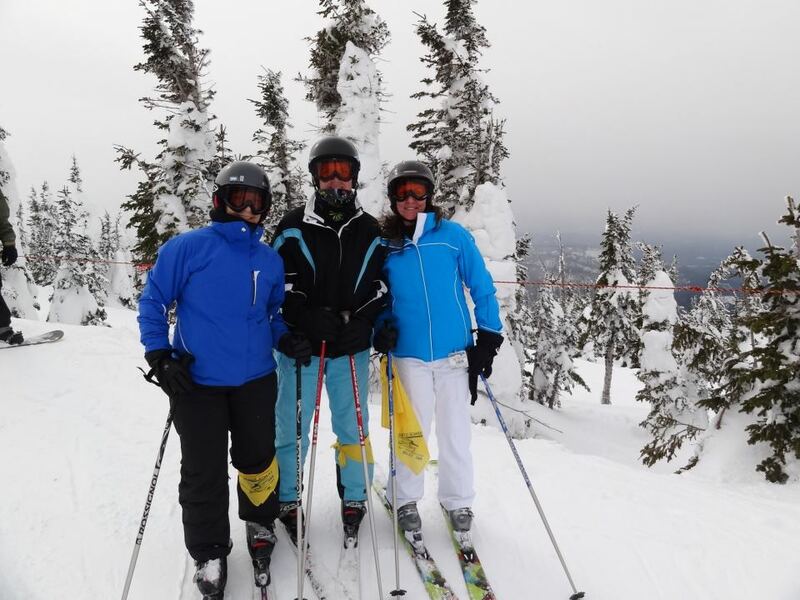 Many in our group wondered why it took so long for our club to come to Schweitzer Mountain. While the ski area was large, the ski village was small and very welcoming. At how many resorts have you been greeted by the senior staff starting with its CEO? The locals love their mountain and want you to enjoy it too. From the townspeople to the lift operators, everyone thanked us for coming and hoped to see us again soon. And as for planned activities, every night we had group gathering for drinks, dinners, and the resort had local bands playing at their eatery sports bar. When the weather forecast threatened to shut down the mountain, the resort provided a free tour bus to Coeur d’Alene. 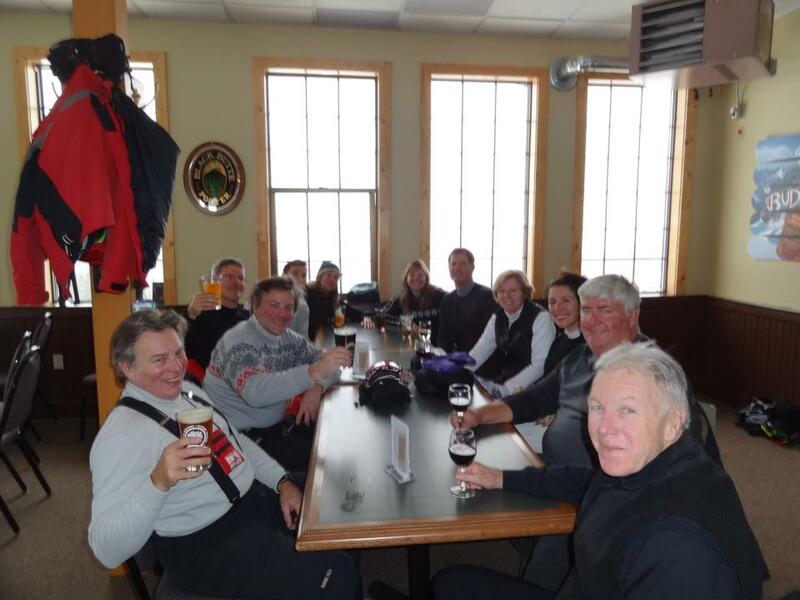 FYI: the mountain did not shut down and some of us enjoyed 6 days of great spring skiing. With most expenses paid and the trip leader refusing to accept additional funds or tips, the group found other great ways to spend. In addition to snowmobiling or snowshoeing the back country or air boarding down the slopes, the town of Sandpoint below the resort offered some wonderful galleries featuring works from Native Americans and local artisans. You don’t want miss out on our next trip to Schweitzer Mountain because we are definitely coming back to this hidden gem. I’m sure some in our group have pondered going back this season to use the spring ski pass everyone has. It is almost April and the snow report has the base increasing to 137 inches now.